Isn't it impossible for the foreground to get smaller while the background gets bigger? Green box is the distance from the tree (Towner's LOS) converted into frames(average speed plotted between TSBD corner and tree) and Bell's LOS . The frames represent JFK at the approx same location on Elm St. They would have to alter Bell (not traversing PositionA also) to match Towner. As can be seen, when the top frame layer is increased 108%, the plat becomes the same size. Need an expert in films/photography, which I am not. The enlarging/zoom ? = 112%. Is there a connection with Myer's manipulation? Upon further review, it looks like she starts zooming after the limo has passed her and hits maximum zoom before the film ends. Sitting down(measured by my wife) from my rear end up to the top of my dress shirt collar is 28 7/8inches = 28.875"
28.875" - 1.875"(collar length) = 27"
27" = rear end to bottom of shirt collar. 27" - 4"(Magic Bullet Program) = 23"
Chris' top of collar = 28.875" - 5.75" (shirt bullet hole location) = 23.125"
JFK's determined head height above pavement = 52.78inches. 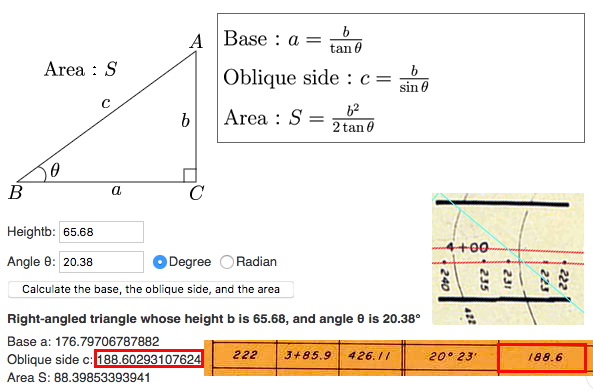 A shot to JFK = 3.27ft = 39.24" (above pavement) used in WC CE884 all elevation entries. 37.365"(Chris' height from rear end to top of head + 1.875" (Chris' dress shirt collar vertical length - back of neck span) = 39.24"
The shorted distance difference(inside tire radius measurement) used by Myers (via the Towner sequence) of approx 24.62ft / (3.294ft per sec = (the WC CE884 161-166 entry)) = 7.47 seconds. Myers accommodated for this with his bogus frame rate of 22.8 for Towner which allowed him(167frames/22.8fps) = 7.32seconds. A 15/100sec or 1/2ft difference. In essence, a match. This is the method used by Myers to sync with the BS data created by the WC. The CE884 initial entry has always been the key. I just tried to "break it down" and "tie it together" while presenting it in a way that was somewhat digestable. Extant Z235 - Z240 placement. Corresponding box edges using red lines. What did they do to convince you it came from the snipers nest? Film using a scope on top of a box platform. The only problem is the angle they set for their support box is incorrect. It's quite obvious when you compare the box edge in the foreground to their box edge beneath the scope. So it was well known during this recreation (circa Nov26-1963) that the truth would not be told. Do you intend to produce a presentation on this research? I've said it before and I'll say it again, this stuff appears really really important and I believe it needs to be understood by a much wider audience. 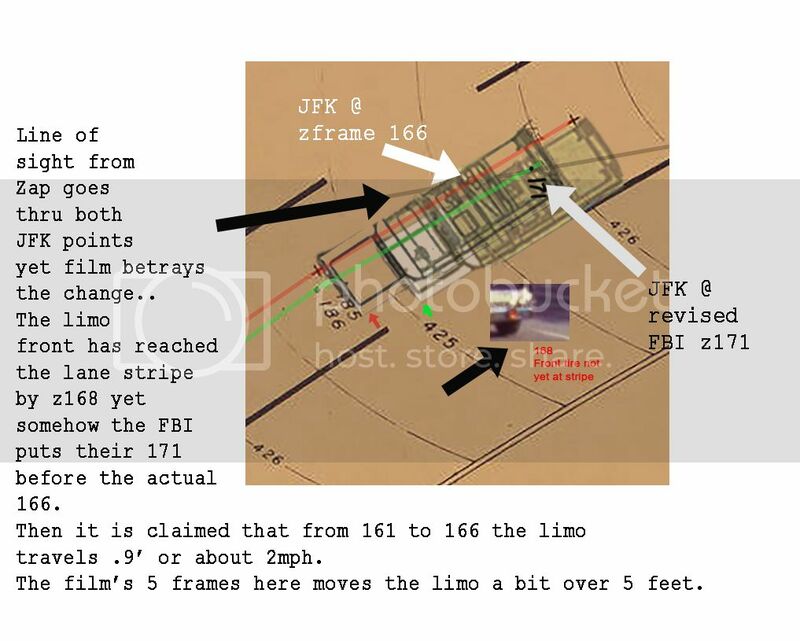 This is it in a nutshell.... Shaneyfelt moved the path of the limo, thereby moving JFK. 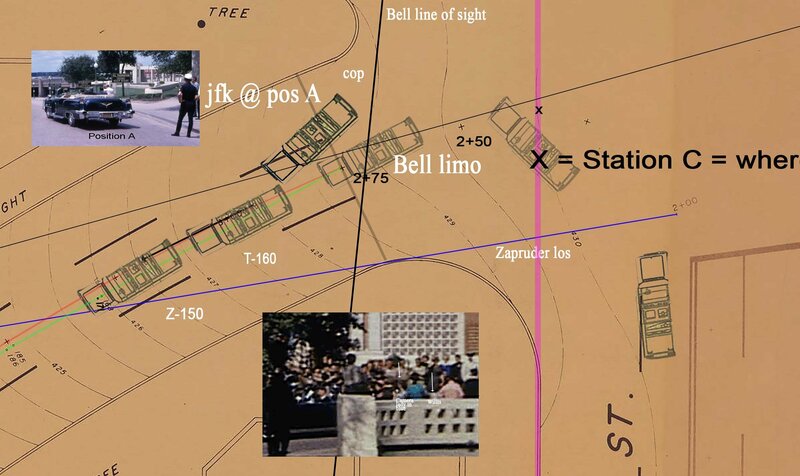 Although part 2 is that what we see as FRAME 133, the start of the limo on Elm. Shaneyfelt gives it away here... frame 133 is the furthest point they had on the Zapruder film, not 161.
we took the farthest distance point we had in the Zapruder film which was frame 161 through frame 313. Wow, thank you so much for that super summary. 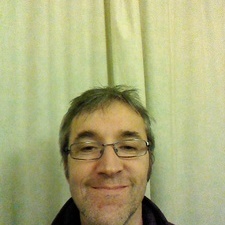 Especially the "cut by half and then half again" to arrive at the desired effect. That means, on average, three of four frames were excised at the critical moments. The biggest advantage of this to the plotters doesn't get enough attention: the limo would APPEAR to go four times as fast, esp. when it was practically stopped. I believe they edited extra frames at those points, esp. when Kennedy took the two shots to the head. No telling how many frames were cut out there, or is there? If anyone can figure that out, it will be you and Mr. C. Davidson. All the evidence points to two things: 1) Zappie DID film the limo as it turned onto Elm; the plotters cut that out up to Z133; 2) and then, moving forward, they cut out very selective frames to suit the best possible look with the film. Can you imagine having 1,500 to 2,000 frames, or whatever it was, to mess with?